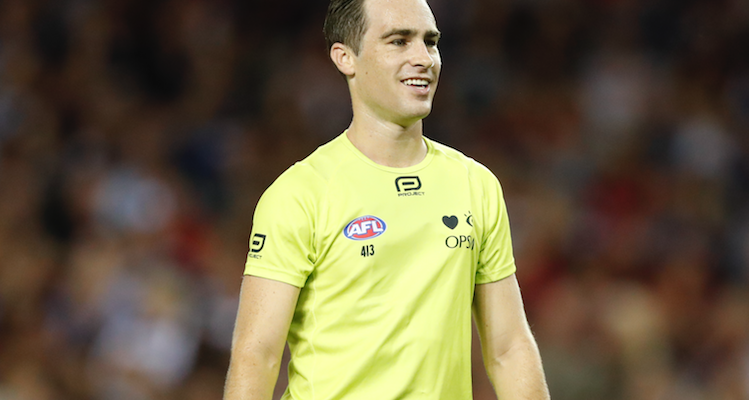 Field umpire Jacob Mollison had to travel 16,100 kilometres (return trip) to reach his 200 game milestone. Further than any other person in the history of the game has had to travel to achieve it. 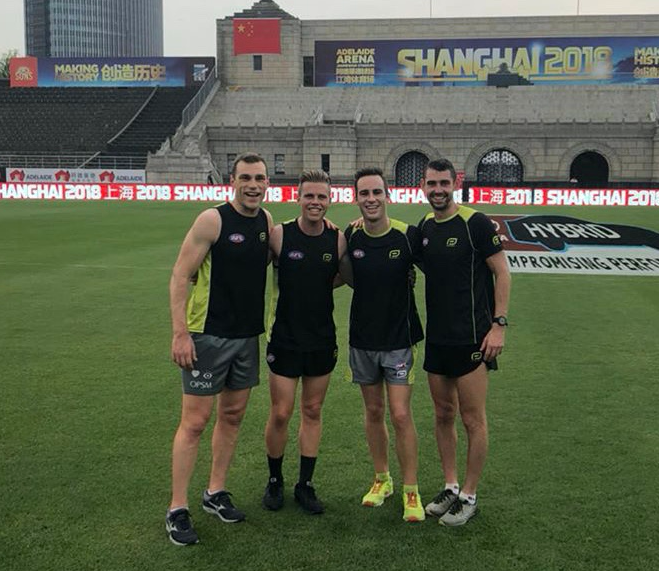 “It was a great experience, we had an awesome crew, all we had to do was turn up at the designated time and everything was taken care of,” reflected Jacob as he spoke about his trip to China for his 200th AFL game. Jacob grew up in Albury-Wodonga and started his pathway in the Ovens and Murray Football league. “It was one of the strongest country competitions in Victoria and I certainly learned fast. Coming into the TAC Cup competition in the VFL was a little easier after coming from the O&M, however the fitness levels and training standards were a lot more demanding than what I was used to”. Jacob umpired 11 games in his first year and 12 games in his second. In his own words, he hadn’t set the world on fire and understood that he needed to lift in order to maintain his spot going forward. Former grand final boundary umpire Mark Foster, also an Albury boy, took Jacob under his wing and showed him the level of fitness required. An injury over the Christmas period in 2009/10 was the catalyst Jacob needed. He arrived back to training after Christmas with stitches in his knee as a result of a mishap on a water slide. Jacob was confined to cross training with the then strength and conditioning coach, Brendan Fraser. Boxing was on the menu and you could see Jacob grow from a submissive young man to an “animal.” The nickname stuck and Jacob grew into the athlete he is today. “I still have to work very hard to maintain and improve my fitness and I still cross train to keep off my feet. I umpired the last 10 games of 2010 and went into 2011 with some great momentum and confidence, that feeling that I actually belonged at this level had finally arrived. 2011 was up there with one of my best year on the list and I got my first final.” Jacob has since sat on the bench for 5 or 6 finals series. “It has been frustrating just falling short of breaking into the top 12, but it has been rewarding knowing that I have been in contention knocking on the door. 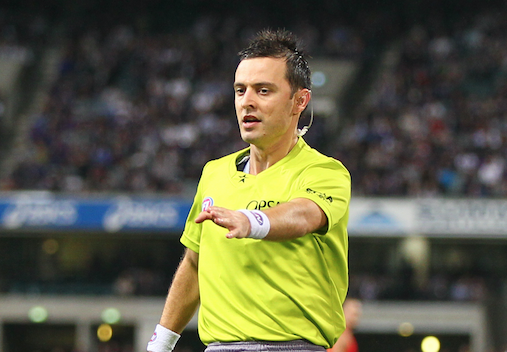 I know I am on the right path and am doing everything I can to umpire at a consistent high standard week in week out”. Congratulations Jacob on a terrific milestone.